I know how much thought goes into planning a party - the invitations, the food, the decor. You think about the drinks, the guests and of course the setup and breakdown. Lets take it one step further - think first impressions. 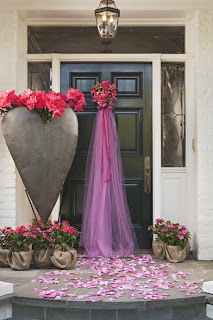 As your guests walk towards the door how are you greeting them? 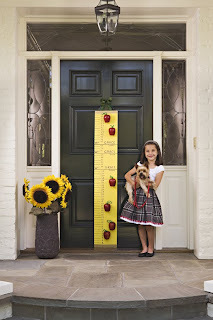 I came across Door Decor and they have some great examples to pretty up that front door. Its a way to bring the theme one step further. This is good for your home, a restaurant, country club etc. Are you hosting the next book club, your childs first birthday celebration or how about to surprise your neighbor for her birthday. Think layering of your theme. Why not start at the beginning! good find... really cute idea and so true. nobody ever thinks about the front door... except maybe at christmastime.